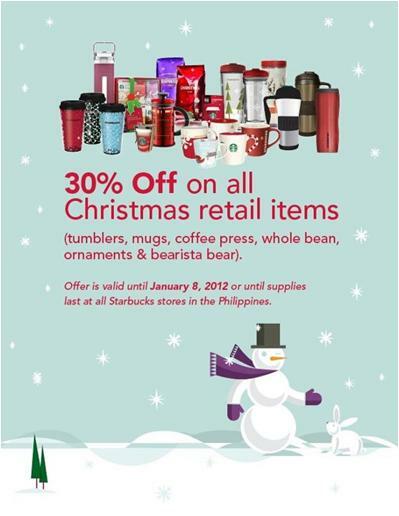 Starbucks Christmas Retail Promotion is from December 15 until January 8, 2012. 30% OFF on Tumblers, Mugs, Coffee Press, Whole Bean, Ornaments and Bearista Bears. Valid at all Starbucks stores in the Philippines. Click on the image below to view the Starbucks Christmas Catalogue better.